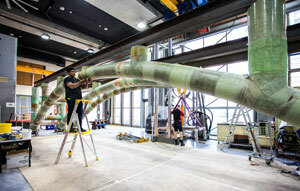 University of Queensland (UQ) engineers have helped develop a time saving hybrid fiberglass-concrete-steel bridge construction technique, which has also won the inaugural BERD-FEUP World Innovation in Bridge Engineering (WIBE) award. The WIBE prize, sponsored by the Faculty of Engineering at The University of Porto in Portugal, and BERD, a project, research and engineering firm specialising in bridges, recognised the engineering team’s novel bridge system and its low-cost and rapid construction. 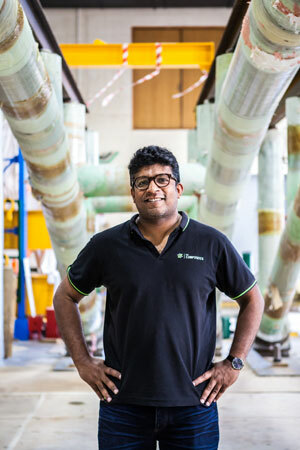 UQ Faculty of Engineering, Architecture and Information Technology researcher Dr. Dilum Fernando said the bridge was lighter, stronger and faster to put up than anything currently available. The bridge design uses a double-skin tubular arch system, and Dr. Fernando says it is three times as strong as conventional reinforced concrete bridges, yet only a third of the weight. “Because it’s light, the bridge can be pre-fabricated and transported to site where it can be put up in about 72 hours,” he said. 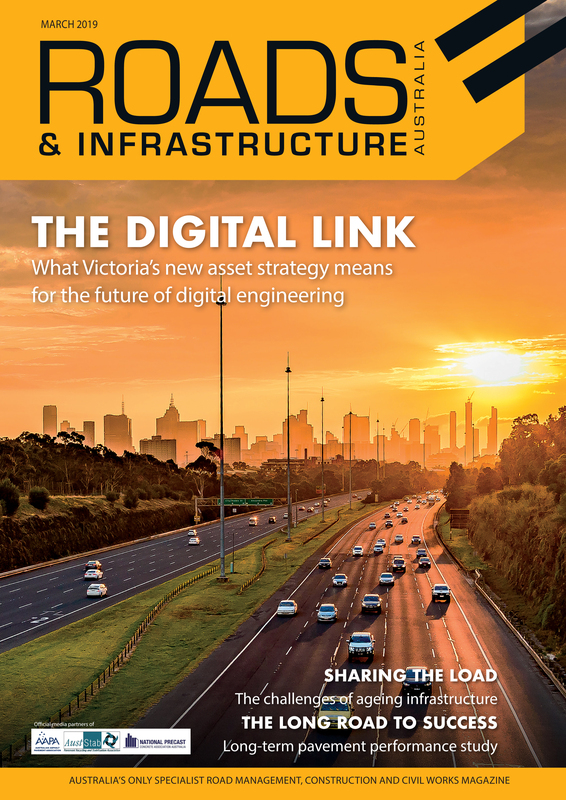 Dr. Fernando said the bridge design could be prefabricated, transported on a semi-trailer and erected without the need for specialised heavy lifting equipment. The design team also included Brisbane-based company RocketC, global engineering consultancy Arup and the Hong Kong Polytechnic University. The project came about when RocketC’s Paul Rodman approached Dr Fernando. “Constructing road or rail overpasses on existing roads is extremely expensive and time-consuming,” Mr. Rodman said. “It can require extensive property resumptions and road construction to allow the traffic to continue operating while the overpass is constructed. Dr. Fernando said the competition prize money would be used to continue research into applications and improvements for the bridge technology.